Want to install iTunes without bloatware in Windows 10? No problem! The following blog will walk you through the process. 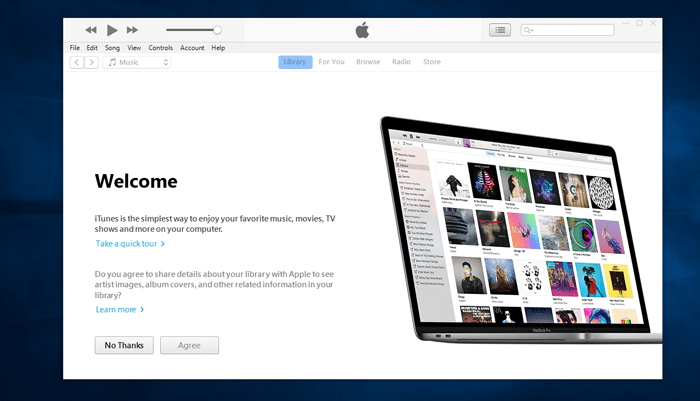 There are two methods to install iTunes on Windows 10; users can download either from Apple’s official site, or download and install it from Microsoft Store. From both the ways you will get the same version of iTunes. The only difference between the two version is that iTunes store application has less bloatware than iTunes desktop app. When you download the iTunes setup file from an official website, the iTunes installer installs extra components which no one probably requires, and the worst part is that there is no way to skip those components unless you’re crack up the iTunes installation file. 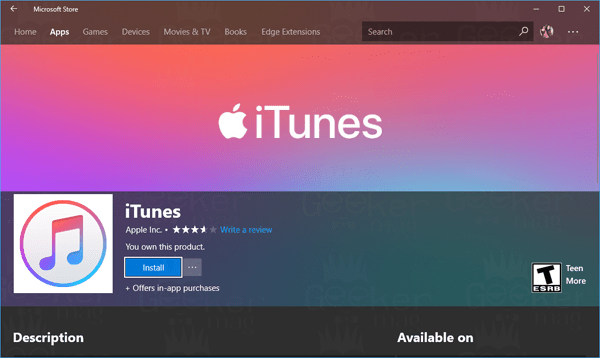 What Makes iTunes Store App Bloatware Free? So what to do to install iTunes without Bloatware in Windows 10? Just install iTunes app from Microsoft Store. Don’t worry, the iTunes version available in the Microsoft Store is similar to iTunes desktop application, and is not a stripped down app. Why use iTunes desktop version (full of bloatware) if you can easily install iTunes Store app with the same functionality and less bloatware. Since Microsoft Store putting few limitations on iTunes app, the app has to be updated right from the Store. This means, there will be no Apple Software Update app accompanied by unrequired background iTunes services. Both the components automatically get installed when you install the standard desktop version of iTunes. This application is used by the system to update iTunes and related service whenever the update is available. It also suggests installing iCloud. It is an annoying program as it interrupts users for what they’re doing and force users to click on button back to back to install the latest update. This is not in the case for Store iTunes app, as it automatically downloads the update and installs it in the background just like other application. No interruption, You don’t have to click on the button, and no recommendation to install iCloud for Windows. During the installation of a desktop version of iTunes, it installs various background services which include Bonjour Service, Apple Mobile Device Service, and the iPod Service. It also starts the program with name iTunesHelper.exe when you log in. In the case of iTunes Store version, no background service will be installed. 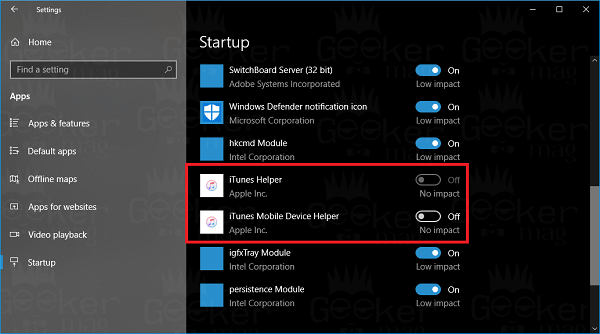 But it will install iTunes Mobile Device Helper and iTunes Helper as a startup task. Both of them are disabled with default settings. What happens in the absence of these services? iTunes will not open up itself when you plug in an iOS device, but that is not a reason for concern as you can launch iTunes yourself. It will open and work normally and let users manage their devices. iTunes Bonjour service is required if you use shared libraries. If you don’t use those, it is good. In case, you use it, but the same is not working precisely while using iTunes Store app, then better to switch to Desktop version. Note: Both Store app and desktop apps approximately using the same amount of hard drive space, so don’t expect that you will save hard drive space installing the Store iTunes app. Since there will be no unnecessary components and background processes in the iTunes Store version, it will make your PC boot faster. This is the only advantage you will get with the Store version of iTunes. Launch Settings app -> Apps -> Apps & Feature. 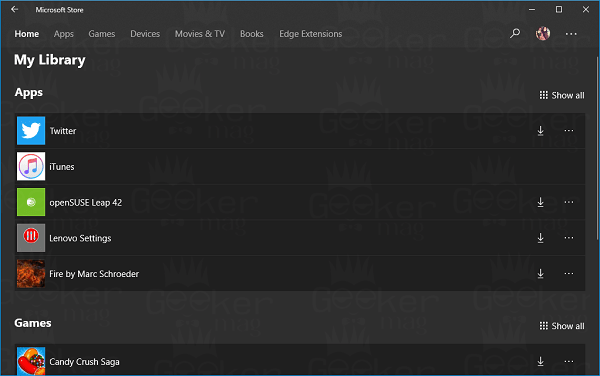 Here on the right side, you will get a list of all the installed on your PC. Just look for all the application related iTunes and Uninstall them one by one. Once done, open Microsoft Store and search iTunes app. When it appears in the search result, Click on it. This will launch the iTunes installation page. Click on the Install button. Once installation completes, click on the Launch button. Note: Microsoft Store is only available on the Windows 10, means users running Windows 7 will not be able to take advantage of bloatware-free version of iTunes. In Short, if you install iTunes (desktop version) from Apple, then you will have to take care of bloatware which automatically gets installed on your computer in the form of background services and process. Or you can go for iTunes Store app to get rid of these unnecessary services. 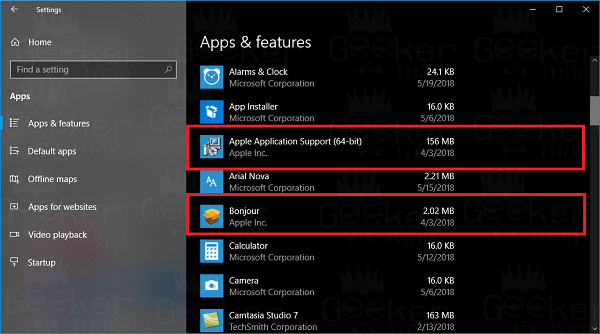 It is entirely up to you if you want to install iTunes without Bloatware in Windows 10 using Store app or want to keep using the iTunes desktop version. What are your thoughts, let me know in the comments.